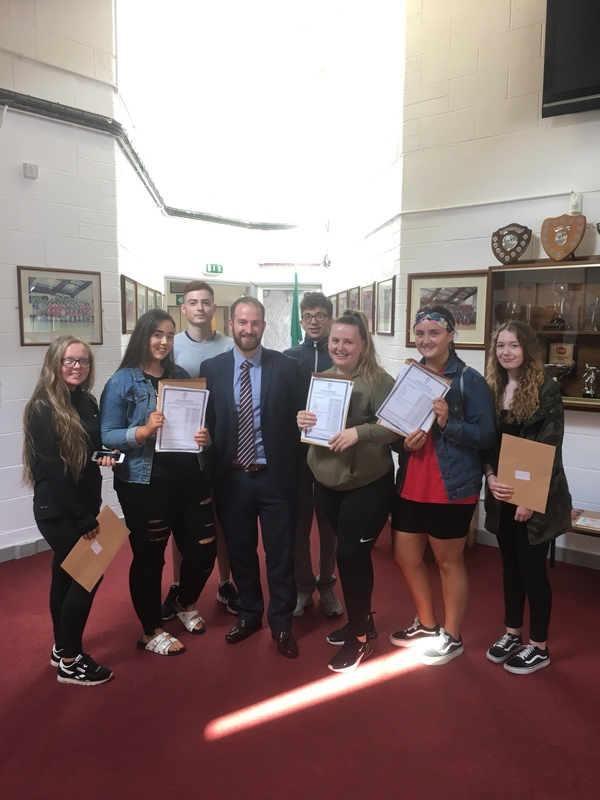 Mr Sean Smyth, the new Principal of Grange Community College, was on hand today to deliver the 2018 Leaving-Certificate results. Students received record results in the school. Mr Smyth has served the Donaghmede community for most of his teaching career. He leaves the history department to replace Mr Adrian P. Flynn. We would like to pay tribute to Adrian for his contribution to the school and the wider community. He takes on the role of Director of Schools in DDLETB. Through this very senior position, he will still maintain close contact with Mr Smyth and Grange CC. We wish him the very best in his new role. Congratulations to the students of 2018 on their results and to Sean Smyth as he starts the next chapter of his eduction career.